If you are a smoker; you will agree with me that a major downside, when smoking cannabis is when you have a sore throat. This is something that every smoker has to deal with when they are enjoying their favorite strain. Moreover, the effects of a sore throat are felt more especially when you are enjoying the black strain. Having a sore throat will actually limit the kind of enjoyment you would have when smoking weed and thus, you will have to look for a remedy after you have enjoyed your perfect weed smoking session. Cannabis smoking comes with many wonderful benefits. It can; however, come with some less wonderful benefits, such as, the effects of the smoke on our lungs, though it must be noted that the effects of smoke from cannabis are much less as compared to the tobacco smoke. Now that cannabis is fully legalized in Canada, there is comprehensive research on different ways of consuming this amazing plant, to give people who love marijuana the most wonderful ways of consuming weed. The most annoying effect that comes from smoking weed is having a ‘’dry mouth’’ or a ‘’cottonmouth’’. This is a condition that makes your throat dry and causes severe irritation after weed smoking. It is the most notorious effect that comes when the cannabinoids, such as, the THC-based ones block the sending of signals to the brain receptors that would lead to the production of more saliva while smoking. This makes your mouth and throat to be extremely dry; leaving you with an unpleasant feeling, that can make you cough regularly. 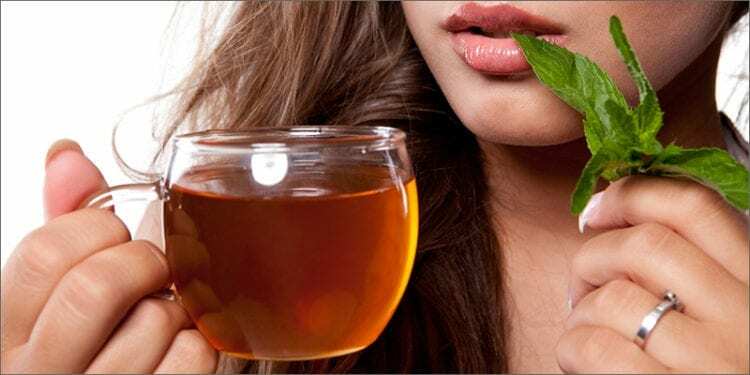 For this reason, we have dedicated our time to give you the simple solutions that will help you tackle this issue of a sore throat from marijuana smoking. How does Smoking Weed Affect your Throat? Although, the cottonmouth feeling and a sore throat from weed smoking is a temporary condition; sometimes, it can have adverse effects. This can be brought on as a result of having intense smoking sessions together with your buddies and may lead to throat pain for several more days. As a result, you will constantly cough and experience uneasiness, as though there is something stuck at your throat. The main cause of a sore throat is the hot air inhaled. The hot and dry air will heat your mouth and throat, making your throat feel extremely irritated. You can feel the hot air of the smoke; starting from the gums, to the bronchioles in the lungs, when smoking. Therefore, cooling the air via an air cooler; or alternatively, stopping smoking weed completely are the first steps in preventing a sore throat when consuming marijuana. What Other Alternatives do I have Other than Smoking? I know you think I’m crazy for saying that you should stop smoking marijuana. However; before you exit this article, you should note that, I don’t mean that you must quit using marijuana. No! Due to the many benefits associated with consuming; what I am implying is that you should find alternative ways of enjoying marijuana for a short bit, until your throat goes back to normal. We all know that the cannabis plant has a lot of wonderful effects. This miraculous plant is used to treat insomnia, anxiety and it promotes a feeling of relaxation. Most people would like to continue the health benefits of marijuana; even when their throat is sore. Luckily, there are other better ways you can reap the benefits of marijuana without suffering the effects of smoking. Vaping is the preferred way of consuming cannabis for those people that are seeking to use cannabis for medical purposes. This is because Cannabidiol’s (CBD) therapeutic properties are more prominent while vaping; as compared to, inhaling cannabis through the usual ways. You can also vape wax, THC distillates and even dry herb, if you have the right equipment. Whether you prefer smoking dabs through a rig, with an enail. or a traditional butane lighter and nail, many retailers will be happy to set you up. Furthermore, there are dry herb units, such as, Davinci’s new MIQRO vaporizer. Vaping is slower in regards to feeling high; in comparison to, smoking; so that you have a bit more of a feeling of control, as you vape. Smoking always hits you fastest, as your lungs are an extremely large surface area when you take a deep breath. On the other hand, some people dislike vaping for the slowness of the high; however, the slow and steady one always wins the race and the same caveat holds true for smoking vs vaping. Vaping clearly wins the smoking race as the air is cooler and you can have a better and cleaner smoking sessions; as compared to, inhaling a normal blunt, joint or bong. Another amazing way of consuming cannabis without having to get a sore throat, is by taking edibles. In this method, you will enjoy your favorite food together with seeped weed-rich drinks, snacks, desserts; or even, sauces over your favourite foods. Edibles are awesome ways of enjoying marijuana because you will be able to choose a dose of cannabis that fits your needs. This is because the edibles are sold in well-labeled packages and in any case, if you decide to bake your tasty food by yourself, you will prepare the food carefully, that matches your needs. Although it may take more time for you to feel high when you take edibles as compared to vaping or smoking weed, the high feeling that comes after eating edibles will have no adverse effects on your head and you will actually stay high longer as compared to other ways of using the plant. Amazingly, a high feeling from the edibles will last between four and eight hours depending on the dosage that you take. Lower is always better! Please take the time to read our how-to guide to cannabis edibles. Want to feel high throughout the day without vaping, smoking or eating edibles? You should look out for cannabis patches. The cannabis patches are immediately infused into the bloodstream and offer a reliable option to THC or CBD needs. You can discreetly and conveniently carry them to the workplace, or anywhere you are going and nobody willnotice. 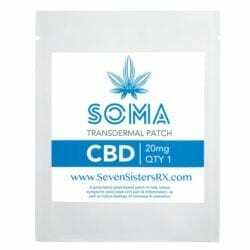 Herbal Dispatch offers Soma 20mg Cannnabis Patches for sale currently. More recently, PuraElements have announced Canadian consumers will soon have an all-in-one patch delivering strong, steady and effective relief from nausea, pain, opiate addiction and recovery, inflammation, muscle spasms, chronic pain, appetite loss, anxiety, depression and fatigue. Throat healing after cannabis smoking is paramount. However, you must follow the right ways for you to have a healthy throat. Firstly, ensure that your mouth and throat stay hydrated, both during the smoking session and after. You should embrace a habit of drinking water always; whether you are smoking or not, as this will have many benefits to your body in general as well. Moreover, cool water is highly recommended and always avoid drinks that contain caffeine or salty foods, as this will actually lead to further dehydration. Please note that during the smoking session, your body will need water badly (I recommend water with a splash of lemon or lemon concentrate). Secondly, ensure you take cannabis in moderation. In simple terms, taking anything in excess is not healthy. Although the worst cannabis can do to you is having a sore throat, it may become exacerbated if you smoke weed more often. Instead of allowing the negative effects pile up, you should plan to space your weed smoking sessions; in order to give your mouth and throat enough time to heal. By accomplishing this, you will have two positive effects, you will allow your throat to heal and you will have given yourself an amazing tolerance break (Even if you severely cut down, you will notice a remarkable difference in the effect of your weed and cannabis concentrates)! Tolerance breaks always makes cannabis smoking more pleasurable and powerful. If you have been smoking weed and the dreaded cough has already begun; it is important to drink a lot of water as earlier described. Adding a splash of lemon also helps, as lemon has a lot of vitamin C and has antibacterial properties. This tactic ensures your mouth is moist. Furthermore, consider gum chewing or having a sugar free candy, as this will offer a great way to improve your saliva production and soothe your sore throat from weed smoking. If the soreness persists, you can also gargle salt water, in order to minimize the effects of a sore throat. It is also advisable to invest in steam inhalers and vaporizers that are available here in Canada that will guarantee enough moisture in your inhalation passages. Have any questions or comments? Share your experience on how to deal and soothe the effects of a sore throat. Let us hear how you deal with the aftermath of an enormous weed smoking session! Please leave a detailed message in the comments below!